What’s the science behind growing healthy plants? What does that mean for the Texas and U.S. economies? What does it mean for a hungry world? Students can learn all that and more through Texas Farm Bureau’s school visit program. Now in its fifth year, the program strives to improve agricultural literacy and awareness by bringing the farm to the classroom. The mobile program helps students in second through eighth grade connect to agriculture and the farmers and ranchers who grow their food, fiber and fuel. The program curriculum is aligned with Texas teaching standards, which helps teachers incorporate the concepts into their classrooms, Mason said. There are four lesson plans available. 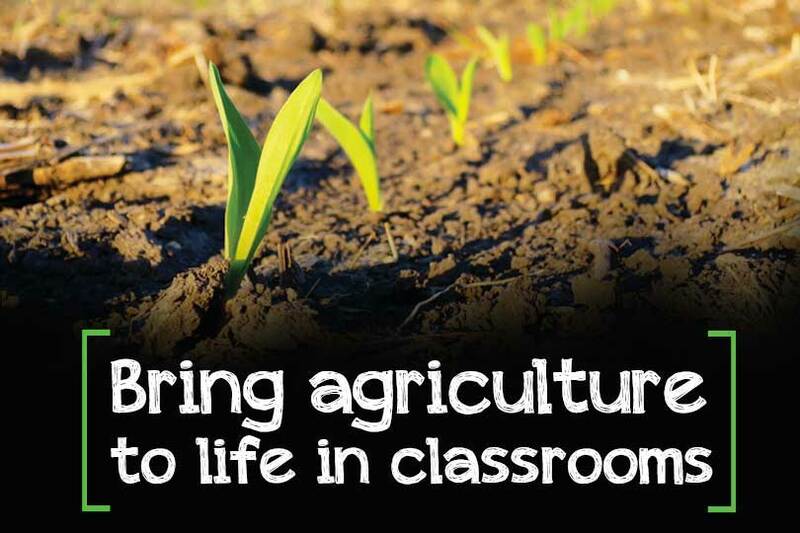 The “Planting the Seed” lesson plan will return for another year of connecting classroom concepts to agriculture through a science-based curriculum. The lesson is geared toward students in second through fifth grade. Through the hands-on lesson, urban and rural students become farmers as they plant a seed in a cup. Throughout the remainder of the year, the students water their seeds and care for the plants, giving them a better understanding of the care and attention farmers give their crops. This year, the school visit program will introduce three new lesson plans to reach students in other subjects and broaden their knowledge of agriculture’s presence in the world, Mason said. “Who Grew My Soup,” a reading and writing curriculum for second through fifth graders, will discuss who grows the many different vegetables that go into their favorite soups. A social studies lesson, “Mapping Out Texas Agriculture: Regions, economics and history,” will show students in second through seventh grade the diversity of the agricultural areas in the Lone Star State. “Investigating Agriculture Careers: Not just sows, cows and plows” will serve as a careers lesson for eighth graders. The curriculum highlights the many possible career paths within agriculture. In addition to the new lesson plans offered, the school visit program expanded its reach to eight new areas in the Lone Star State, Mason said. Presenters are now available to implement the program in schools in El Paso, San Angelo, Wichita Falls, Denton/Collin County, South Austin/Bastrop/Comal County, West Houston/Katy/Fort Bend, North Houston/Montgomery County and Corpus Christi. The additional regions double the areas the program visited last year, and will allow TFB to reach students in nearly every region of Texas. The mobile program made 345 visits last year and reached more than 34,900 students. Mason hopes to connect with more students this year. “Each school visit allows us to bring agriculture to life for those students,” he said. “We want to make sure students understand how broad and diverse agriculture is, as well as how it affects them every day,” Mason said. Schools can sign up for a visit at www.texasfarmbureau.org/aitc. For more information on the program, contact Mason at jmason@txfb.org or 254-751-2569.